Based on the characters used, you might be able to guess the personality types. Now who do I see myself as? Not to scare off a potential client, but I most identify with the perfectionist Monk (ironically, I’ve never really watched a full episode). 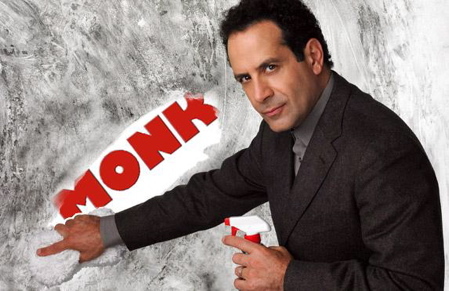 While I don’t have the compulsive issues that Monk has, I do want the project done with precision. When I first started, especially my first paying job, I would become slightly obsessed with a project. I felt the pressure of putting mine and the company’s reputation on the line. I wanted to prove how seriously I took the job. It is a double edged sword. Sometimes, the job needs to be completed, regardless of how much better I think it can be. Its important to want to be proud of the work you do, at the same time its important to make the client happy and not burn yourself out. Of course, I can be the Casper (friendly) and sometimes Sherlock (problem-solving), but it all comes with becoming more like Papa Smurf, I mean, gaining experience. I think a lot of these traits are prevalent in design as they are with several other jobs. Who do you see yourself as?